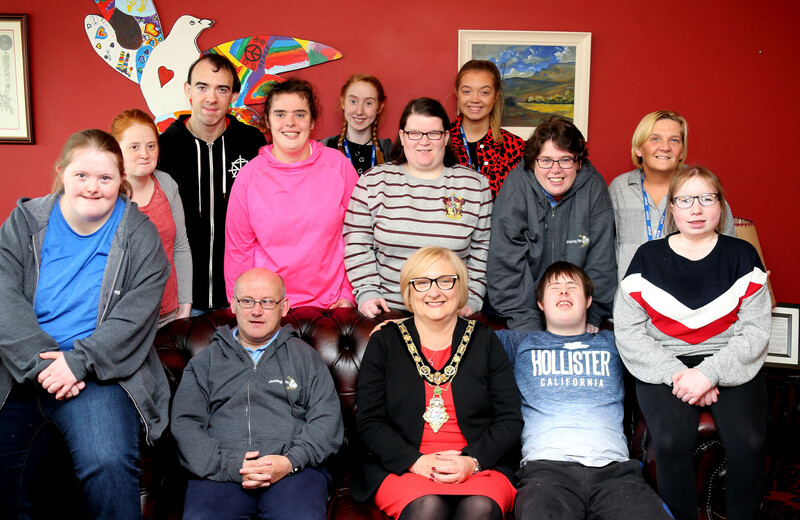 The Moving On Up project provides training and development opportunities for young people and adults with a learning disability. The students develop personally and socially by taking part in activities including cookery, photography and gardening. Students from ‘Moving on Up’ in Limavady pictured with the Mayor of Causeway Coast and Glens Borough Council at a civic reception.